I think we have to talk. We’ve been together for a very long time. It’s been great, it really has. As a child, my family pretty much always kept a package of you and your friends in the cupboard. You’d come out at dessert time, or maybe even just snack time, with a glass of milk… Good times. As I grew up, we kind of went our separate ways. I realize every once in a while you’d sneak your way into my shopping cart without my permission, but once I got you home, you’d always win me over. You’re such a charmer. I’m in Australia now, where everything is upside down (and also kinda backwards and weird), and you know what? Your friends in Australia just don’t taste the same. I can’t explain it, but I have to admit, I just don’t enjoy them as much as I did in the good old US of A.
Oh, Oreo, I see you over there in the United States, with your pumpkin spice, berry, birthday cake, and cookie dough fillings… and your readymade pie crusts, and your ice cream cones, and your triple deckers, and your fudge coatings and your golden cousins, and I wonder why you decided to start the party only after I left for Australia? Do you know I even once wrote to your creators and requested a pumpkin spice Oreo, only to be refused? I was shattered. And now, well, what a surprise – I leave the US, and there they are, pumpkin spice Oreos. I’m quite disappointed. You see, none of this exists down here. We have plain old Oreos. Sometimes I see strawberry ones, or peanut butter ones, or chocolate ones. But it means nothing to me anymore. As I said, Australian Oreos just aren’t the same. It’s been a long time since I invited you into my home. I just… I just feel so… betrayed. Why can’t I enjoy your company anymore? Is it because of all your new flavors in the US (that only appeared after I left)? Is it because you won’t come and join me in Australia? I can’t explain it. So… here’s the hard part. I have found something new. It’s time to move on. I’m sorry, Oreo. 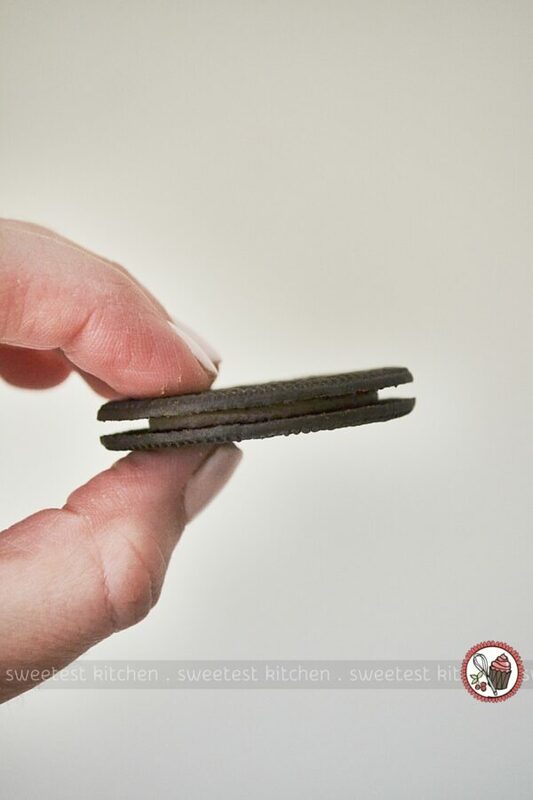 Please don’t be too angry, but the other day, I met your brother, Oreo Thins. He showed up at my door, along with all of his friends, and some of them were completely new flavors I have never even seen before (regular old vanilla, but also lemon and tiramisu!!). He really swept me off my feet. Honestly, I tried to tell him no. No, Mr Thins, I don’t know what you’re doing here. 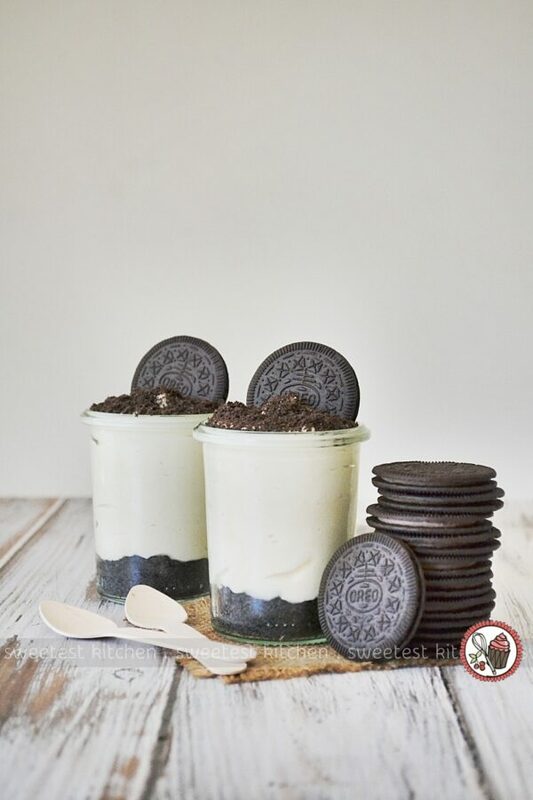 Oreo is all I ever want, with his perfect cookie-to-cream ratios, that smooth twistability, that satisfying crunch combined with that creamy filling. A thinner version of my Oreo could never replace him. 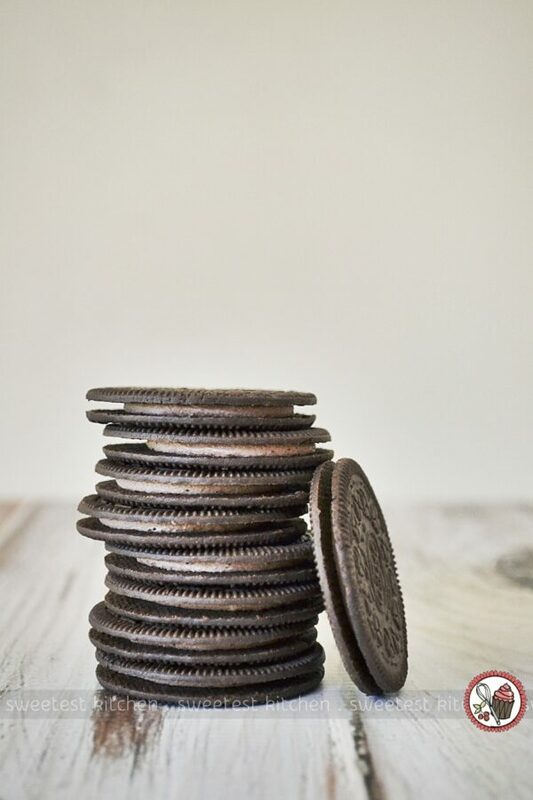 But, Oreo Thins is one persistent fellow. Oh no, what have I done? I opened the package. There, before me, was one of the thinnest cookie sandwiches I have ever seen. And you know when you see something really tiny, and that something is normally quite large, it’s just automatically incredibly cute? Yeah, I got that feeling. I picked one up. I inspected it. I inspected it very closely. Yep, it’s indeed quite thin. But, Oreo, I still tried to convince myself that this was so wrong. It’s just, there he was, in my hand, looking all cute. I had to take a bite. And… another. And… another… until the whole cookie was gone. I stopped there. At that one. And I started to make some recipes with them. It was going to be a tiramisu cheesecake, but my cheesecake bit didn’t firm up enough (probably because of all the espresso I added! ), and I ended up with a more mousse-like texture. So I decided to call it a “cheesecake mousse”, and look, it still has an Oreo Thins Tiramisu crust at the bottom! And it wouldn’t be complete without a scattering of Oreo Thins dust on top, right? Oh, and I couldn’t not add a whole cookie on top of that! …Wow. 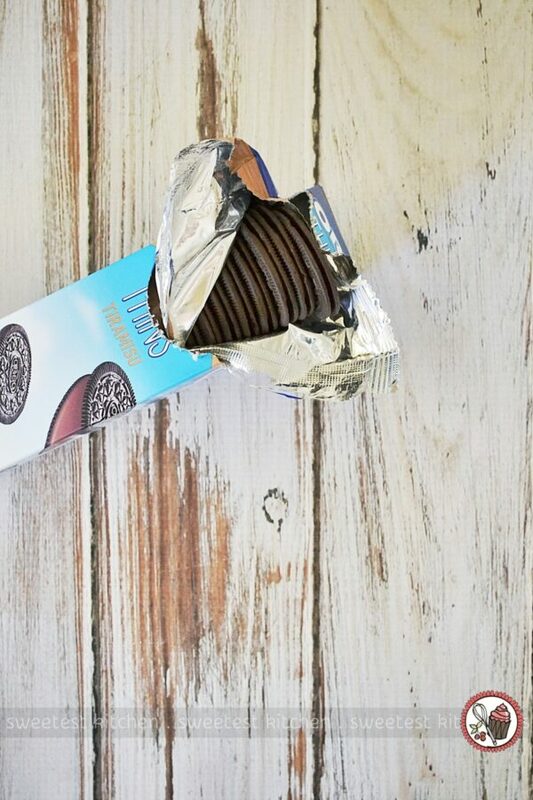 That creamy mascarpone filling, spiked with heaps of pure espresso, accentuated by the tiramisu flavor of your beloved brother, Oreo Thins. How could you not immediately fall in love. I could no longer resist. I was tired of resisting. All this nonsense had to end. I finally gave in. I’m sorry, Oreo. I grabbed that darn spoon and I shoveled this into my belly so fast that I’m not even sure how I came out alive. 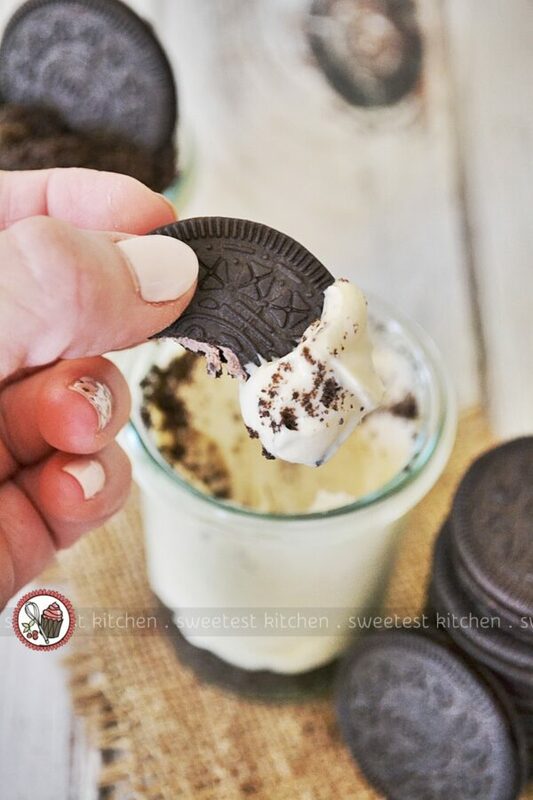 I may have even grabbed another Oreo Thins from that stack and dipped it into that cheesecake mousse. Oh, I am so naughty. Okay, you’re right, he doesn’t have the same twistability. He does break if you try to twist him. But hey, if you microwave him for a few seconds, you can easily still twist him. You know what, though? I’m not a twister, to be honest. It’s either all at once or nothing for me. So Oreo Thins suits me just fine. I hope we can remain friends, Oreo. Who knows, we may end up in each other’s lives again, if only for a pie crust, or a Halloween dirt cup. I think I’d like that. But for now, let’s have some time apart; I’m going to start my own party with Oreo Thins. 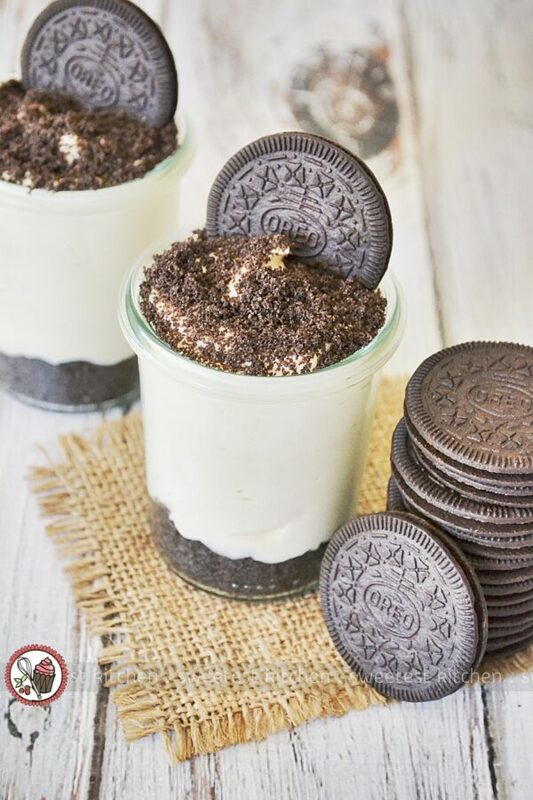 Oreo Thins Tiramisu are the star performer in this creamy mascarpone cheesecake mousse. Alcohol- and egg-free, this easy, no-bake mousse is a perfect dessert for the family and all your guests! 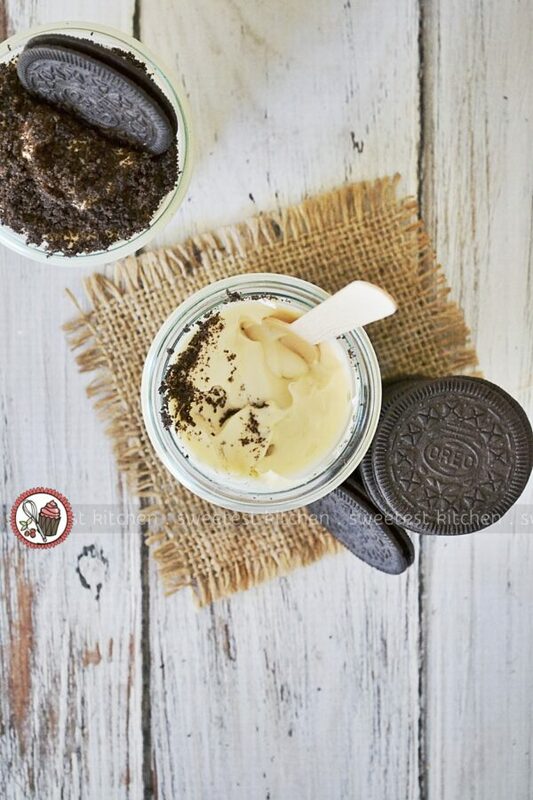 Oreo Thins Tiramisu crust: Place Oreos in a food processor or blender and process until they become fine crumbs. You should have around ¾ cup of crumbs. Transfer crumbs to a smallish bowl and pour in the melted butter. Stir until combined and all crumbs are buttered up. Place a layer of the buttered crumbs on the bottom of 6 small serving glasses (about 2 tablespoons of crumbs each). Set the glasses in the refrigerator while you prepare the cheesecake mousse. Tiramisu cheesecake mousse: Using a handheld mixer (or stand mixer with paddle attachment), mix together the mascarpone and sugar until smooth and creamy (sugar should be dissolved!). Add the espresso (add more or less to suit your taste), and mix again on low speed until completely combined. In a separate bowl, using the whisk attachment in your mixer, whisk the thickened cream to stiff peaks - be careful not to overbeat though, or it will become grainy. Add about a third of the whipped cream to the mascarpone mixture and, with a silicone spatula, gently fold it in. Repeat two more times with the remaining ⅔ whipped cream, folding gently, until all is combined. 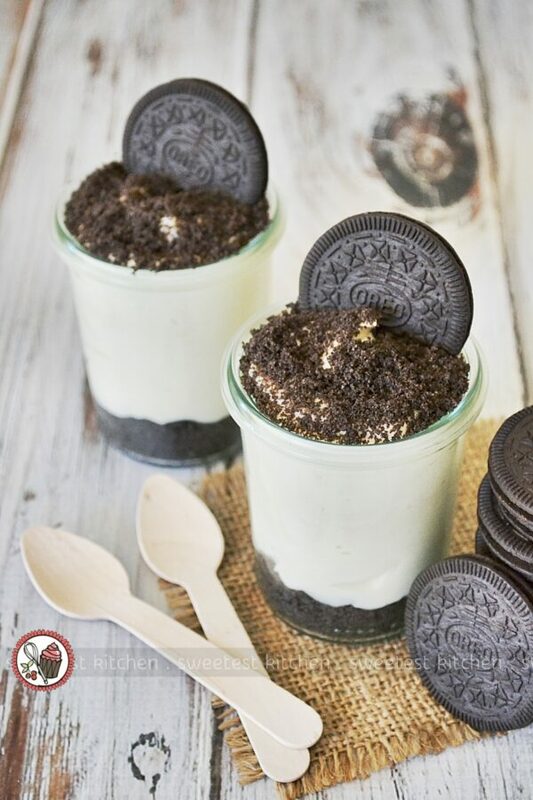 Grab the serving glasses from the refrigerator and fill them up with the tiramisu cheesecake mousse. 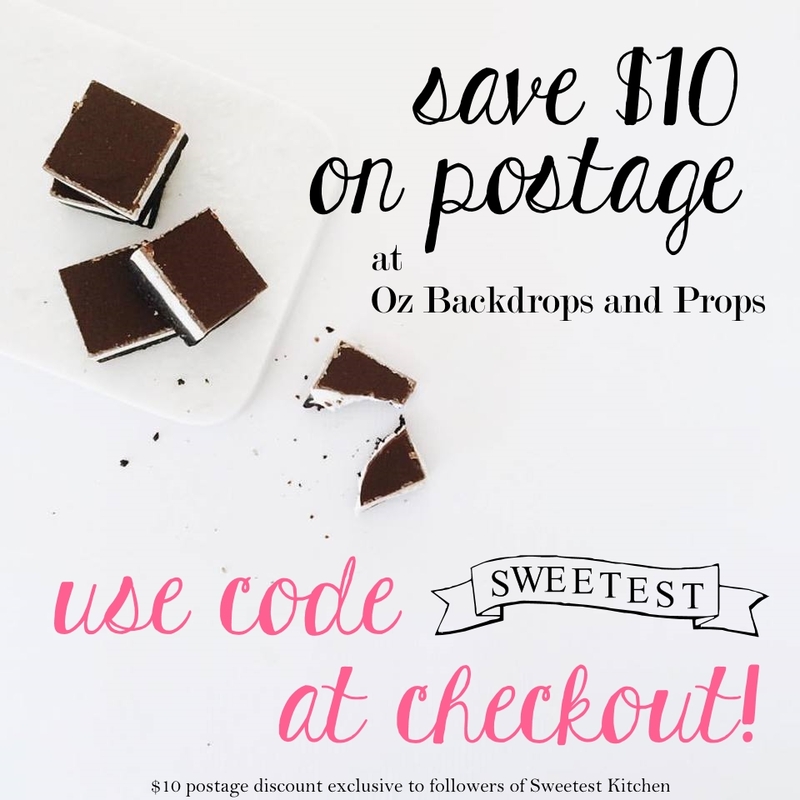 Flatten the tops, or make pretty swirls, and place back in the refrigerator for a couple of hours to set (or eat straight away; I promise I won't tell anyone!). Just before serving, dust the tops with some spare Oreo crumbs, if desired, and finish off with a whole Oreo Thins Tiramisu cookie. Serve immediately.